With big little week, initiation, and formals it seems that painting is all that sorority girls here and else where I am sure have been doing with their free time! Fortunately, my crafting/painting revolved around the paddle that I gave my big when I got initiated. It is tradition, at least in my sorority here at Furman and with other sororities here as well, for the newly initiated pledge class to give a paddle to their "big" or "big sister" within the sorority. Painting and perfecting my paddle was quite the undertaking. Unfortunately, the man mailing the paddles to us shipped them late and I wasn't able to start mine until 2 days before it was due. If y'all know me at all and my perfectionist personality then you probably know that all of my focus diverted to creating a paddle that my big would be proud to hang! My big and I share a mutual love of Kate Spade and I knew that my paddle somehow had to revolve around that mutual interest! I found a fun print and painted that onto my paddle and then decided that instead of the traditional Kate Spade New York logo with a spade at the top I played off of the font and wrote Kappa Delta Furman with a shamrock replacing the spade! I was so proud of the way mine turned out for only having 48 hours to do it! 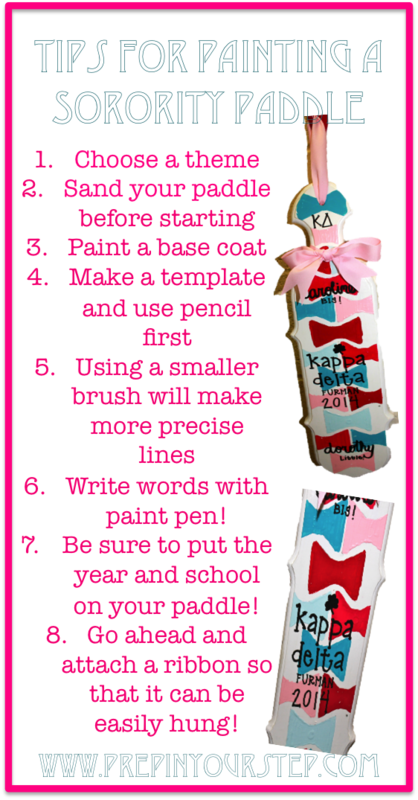 Here are some tips I have for painting a sorority paddle and images of mine once it was finished! Here is a better look at the front and back as a whole! The back I went for confetti-esque look and wrote a nice note on the back. Sadly, my handwriting on the back looks terrible but it is the thought that counts! Be sure to share any tips you may have in the comments below to help future paddle painters! Also, I forgot to put this on my tip list but definitely definitely definitely seal your paddle somehow, I used mod podge and that worked perfectly! Your paddle turned out oh so cute! I love this tradition at Furman! My big would love a paddle from me right now, better get on that. Your paddle is absolutely darling! I wish we did paddles at my university! your paddle looks beautiful! I worked so hard on mine & it turned out to be such a special gift! It turned out so cute! Great tips! I absolutely love your paddle, so cute and colorful! Aw your paddle is sooo cute! That's such a creative design!! 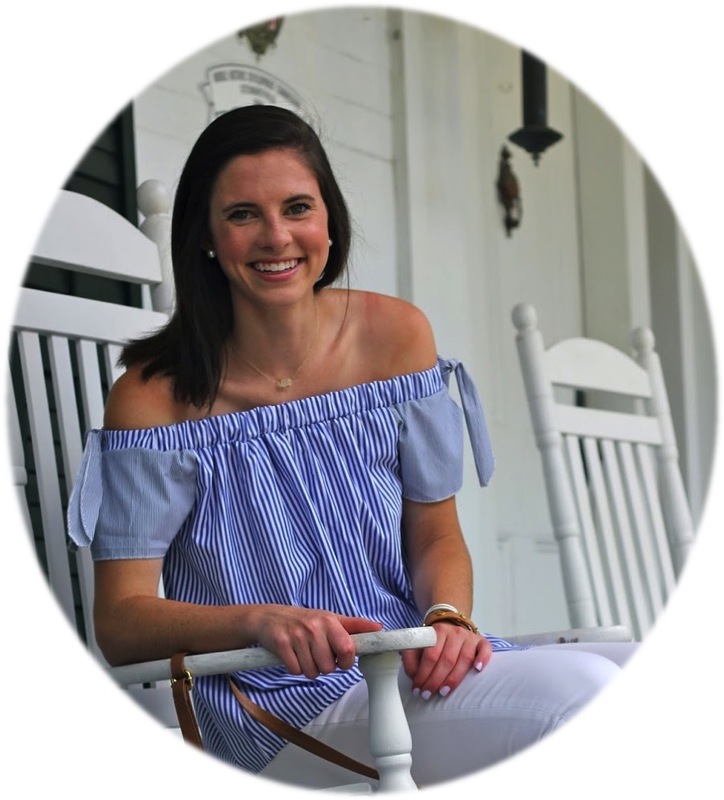 By the way, I'm considering going to Furman and I was wondering if you could tell me a bit about campus life? I think it's absolutely beautiful but it's always hard for me to tell what it will be like living at a school. I would love to hear your advice and tips and pros/cons about the school! Sorority Paddle looks good and come in many different styles. Design generally is actually a "personal style with expression", that's denoted by omega replica of this time frame displayed by media channels, and also by way of popular music that is preferred it had been. Most people spotted the following when a long way instruction online a eighties, where style with sense appeared to be ground breaking plus experimental. Amongst both males and females, the ladies have largest obtaining electricity in regards to looking for the best apparels. Gals under no circumstances believe that it is your waste material with capital to order all sorts with attire jewel a strong outer item and also romantic omega replica uk. Its perceived that women get attire that these folks glance really plus positive. Nonetheless what’s hilarious is definitely every time they study romantic garments plus extravagantly get quite a few. The fact is, for quite a few gals, shopping for romantic garments may be known as your hublot replica plus leisure activity. In truth, gals should purchase virtually any naughty nighty available for sale when they would like to. You can find a little something for the naughty nighty this draws gals to order. In addition to the incontrovertible fact that gals just simply get every rolex replica uk with apparels, a naughty nighty, and also naughty lingerie currently have diverse styles and designs that gals glance sophisticated regardless of whether dressed in a romantic garments. To paraphrase, gals never exclusively get sophisticated plus classy outer replica watches. Additionally get sophisticated plus classy nighty plus lingerie.